Fair layout with green elements looks fresh and is relaxing for the eyes. Main menu is supplied with graphic icons, so the user even doesn't have to read the text to understand where to click. The newest store products in slider gallery are shown with descriptions and Shop Now buttons. All customization and maintenance is being done via the administrative panel and doesn't require any extensive skills. 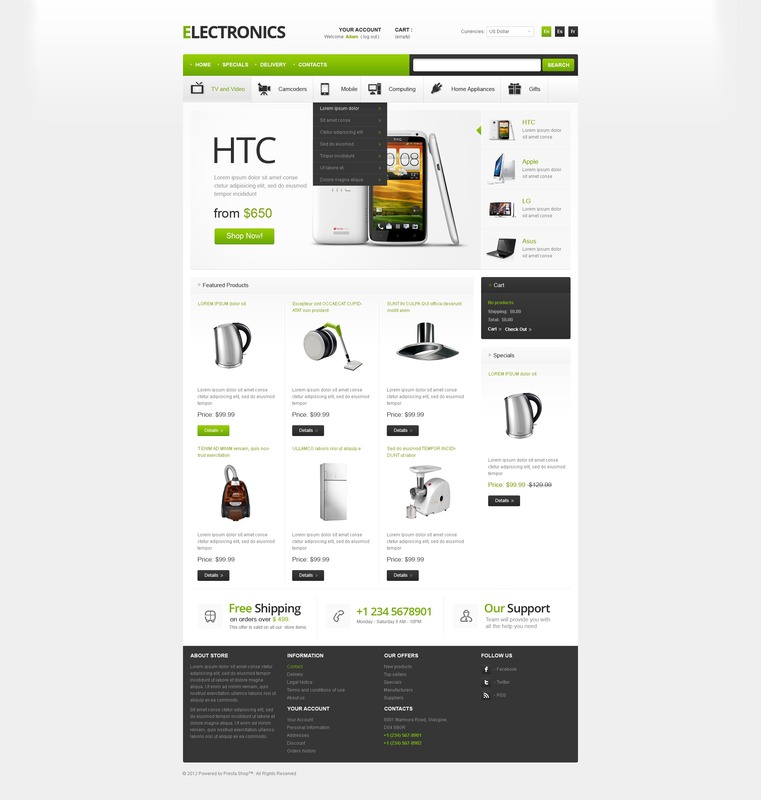 definitely my favourite prestashop template I&#039;ve bought so far. great to work with and the movement on the home page is excellent. nice and clean design!